Parfums Christian Dior has created an olfactory shockwave with Sauvage, the new men’s fragrance that expresses bold freshness and radically heightened notes. To embody the fragrance, Dior chose Johnny Depp, an icon of contemporary virility. An endless urban landscape suddenly changes to the disquieting calm of the desert in Joshua Tree National Park, a single dirt road cutting across it. 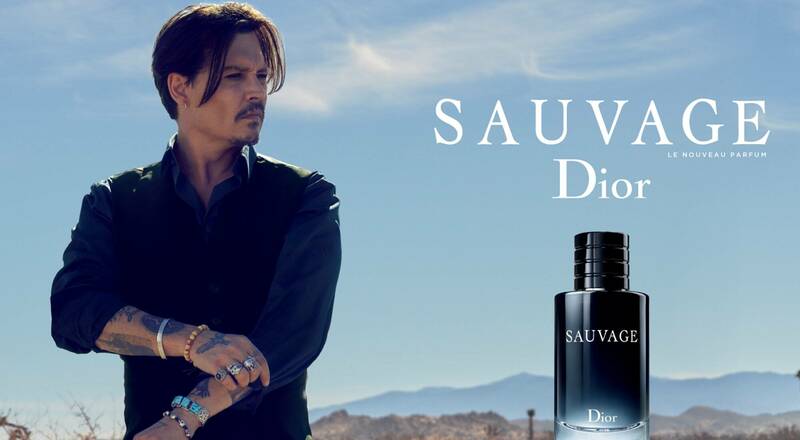 The taut scene opens the film shot by Jean-Baptiste Mondino for Sauvage, the new men’s fragrance from Dior. Then Johnny Depp appears next to an abandoned vintage car. As a haunting soundtrack of rock riffs composed by guitarist Ry Cooder plays, he buries his city belongings, reinventing the voyage of initiation and a new beginning, more sincere, raw and wild. This spirit inspired Parfums Christian Dior Perfumer-Creator François Demachy as he conceived the new fragrance, the first fragrance for men from the House since the launch of Dior Homme in 2008. Direct and noble with a rough-hewn elegance, Sauvage is composed of an excess of perfect raw materials, giving it an extreme quality that heightens the senses. The top note of ultra-fresh bergamot has a tinge of pepper and bitterness. Then comes ambroxan, bringing marine and animalistic notes to create an untamed sensuality. Lastly a whirl of masculine notes – vetiver, geranium, Sichuan pepper, elemi and patchouli – creating a powerful trail, affirmed and elegant. The scent of a complex yet honest man…a man of today.